We are fast approaching Apprenticeship Week 2019 where there will be so many amazing events on in the area for you to enjoy. In the meantime check out our weekly news updates giving some information on the apprenticeship family starting this week with Foundation Apprenticeships. Foundation Apprenticeships (FA) were created by SDS to close the gap between education and industry, giving young people an invaluable, real-life work experience while gaining a qualification along-side their core subjects at school. By taking part in a Foundation Apprenticeship and working in a local business young people will develop sought after soft-skills, gain technical knowledge and real-life experiences, giving them a competitive edge when leaving secondary school. FA’s are open to any young people studying in S5 or S6. The FA will appear as a subject choice option during your selection process and will be completed over the course of a two-year period, with pupils splitting their time between school, college and a local employer. All of which are growing industries in Scotland and internationally, with good prospects for future careers. Dundee & Angus College work with an abundance of employers in the local area to best support the various sectors. 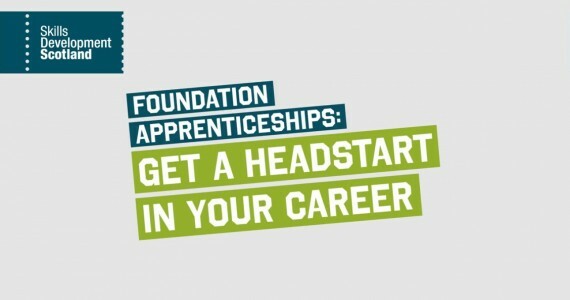 For more information on how the college supports this apprenticeship pathway, visit their website or email apprenticeships@dundeeandangus.ac.uk where someone will be available to help. As well as accessing information about FA’s from SDS and Dundee and Angus College websites, there is more information available at apprenticeship.scot as well as live apprenticeship vacancies.